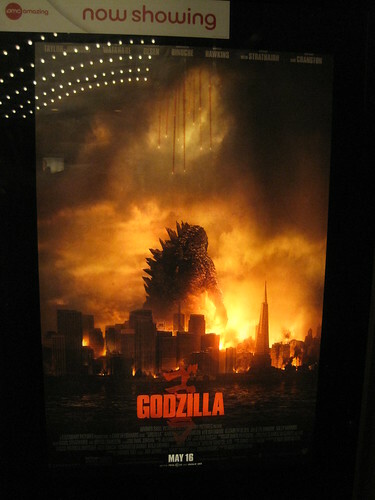 I’ve seen every Godzilla film, most of them multiple times. As a child I saw the first one in its English-dubbed version, GODZILLA, KING OF THE MONSTERS, when it was first shown on TV 56 years ago. When I first heard about the new Hollywood version of GODZILLA, I was skeptical. We all know what the 1998 Hollywood version was like. What further damage could they do now? When I saw the first trailer where we got to see what he looked like, I was pleased that they kept the design of the original Japanese Godzilla, but they’d made him way too big. I started thinking about the physics of a creature like that. What did he eat? How did he stand up? How’d he have enough energy to propel himself? Wouldn’t he have gotten more easily tired or exhausted at that size? I’d never had questions like that when watching Japanese Godzilla movies. I knew what he ate. At lunchtime, Haruo Nakajima, the actor who put on the rubber suit to play Godzilla in the first ten Godzilla movies, would take off the Godzilla head and remove the Godzilla gloves and get a pair of chopsticks and eat a Bento box lunch like everyone else on the crew, followed by a cigarette, and then put the costume parts back on and go back to knocking down buildings in a miniature city on a Toho soundstage. The character was human-scaled. He moved like a living being because—guess what?—he was played by a living being. What happens when remaining copies of particular films or particular versions of films exist only on VHS tape in individual collections and the copyright owner or rights holder has either gone out of business or abandoned the property altogether? 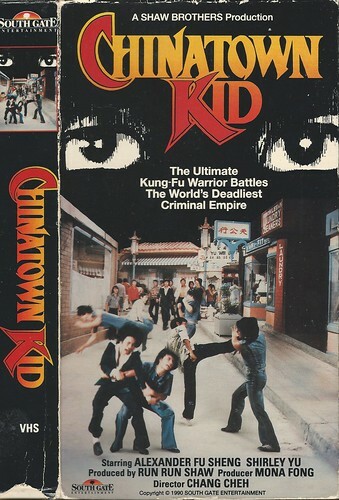 I have quite a few VHS editions of films and TV shows that are not readily available in other formats, mostly English-dubbed Japanese anime and Hong Kong kung fu movies, but probably quite a few other foreign and animated films as well, including many Italian genre films. These are titles that were once distributed on home video in the U.S. or syndicated to television, but are no longer officially available for one reason or another, including the fact that so many companies that once distributed to niche markets are now out of business and the rights holders in Japan and Hong Kong, if they’re still in business at all, have either been unable to find new licensees for these titles or are completely uninterested in any further distribution overseas. 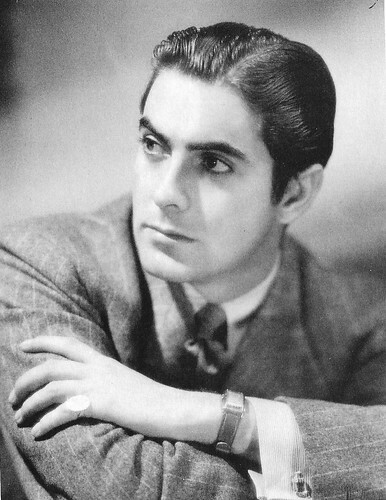 Or, as in the case of the film in question here, if the copyright owner is still active, they are unable to find a complete print of something that once got distribution in the U.S.
Tyrone Power would have turned 100 today, May 5, 2014. He was the quintessential studio-created movie star and worked primarily for 20th Century Fox for nearly his entire film career, starting at the studio in 1936 and making his last film for them in 1957. He was a star from his third Fox movie, LLOYD’S OF LONDON (1936), on. His last two films were THE SUN ALSO RISES (1957), done for Fox, and WITNESS FOR THE PROSECUTION (1957), for UA. He was working on another film, SOLOMON AND SHEBA, when he died of a heart attack on November 15, 1958 after a grueling swordfight scene on location in Spain. He was 44 years old.